The Acer Aspire C24-860 23.8" All-in-One PC is part of our Everyday range of simple and reliable PCs. It's great for studying, working on essays, streaming TV, and browsing the web. Enjoy a big screen but avoid the bulk of a traditional desktop PC. The Acer C24-860 PC packs all you need into a frame that's only 8 mm thin at the top. The clean, minimal look saves space and fits well in any room. Don't be fooled by its slim design - with 1 TB of storage you'll still have plenty of space to store your files and media. The Intel® Core™ i3 processor gives you the performance you need for both work and play. 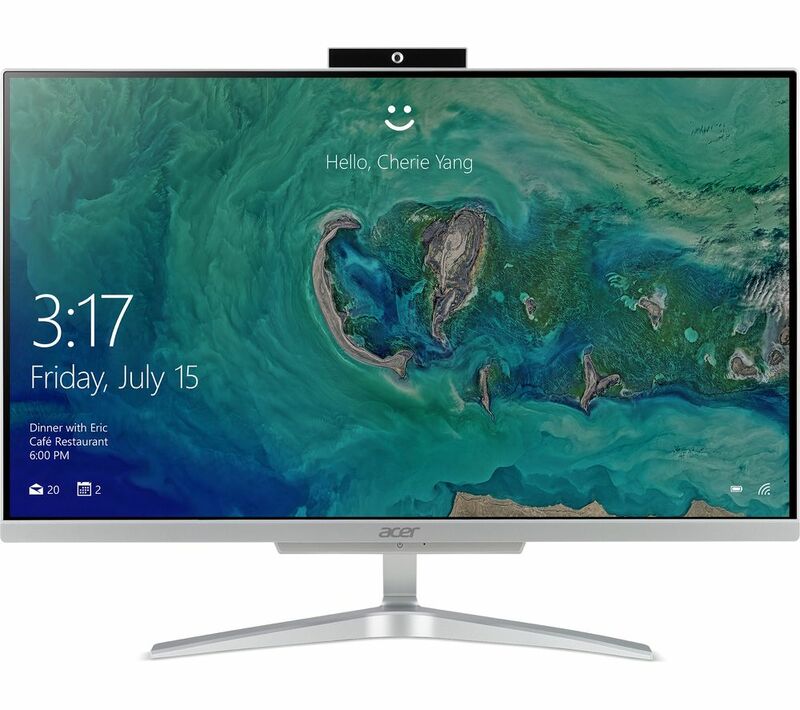 Acer C24-860 All-in-One PC features a Full HD display, delivering vivid colours, clear visuals and sharp colours. Whether you're viewing your favourite family photos or streaming the latest boxsets, you'll be sure of images packed with detail. The external webcam is USB cable-connected, so you have more freedom to move around when you're making video calls or taking pictures. You can also plug it into other devices - simply lift it out of its cradle and you're ready to go. Your Aspire C24-860 can be adjusted from any point using just one hand, so you can set the screen exactly where you want it. The sturdy metallic stand adds a feel of durability.